This year, an estimated 65,000 adults in the United States will be diagnosed with kidney cancer. Kidney cancer is the sixth most common cancer for men, and it is the tenth most common cancer for women. The disease is rarely found in people younger than 45 and the average age of diagnosis is 64. Out of these cases, it is estimated that almost 15,000 patients will die from it, and it’s the tenth most common cause of death for men. Although it is likely to survive kidney cancer through the extraction of one of the two organs, a rigorous prevention regimen is important to protect against cancer at all times. In adults, renal cell carcinoma is the most common type of kidney cancer — about 90 percent of cancerous tumors. Other less common types of kidney cancer can occur. Young children are more likely to develop a kind of kidney cancer called Wilms’ tumor. The incidence of kidney cancer seems to be increasing. One reason for this may be the fact that imaging techniques such as computerized tomography (CT) scans are being used more often. These tests may lead to the accidental discovery of more kidney cancers. In many cases, kidney cancer is found at an early stage, when the tumors are small and confined to the kidney, making them easier to treat. Renal cell carcinoma. Renal cell carcinoma is the most common type of adult kidney cancer, making up about 85% of diagnoses. This type of cancer develops in the proximal renal tubules that make up the kidney’s filtration system. There are thousands of these tiny filtration units in each kidney. The treatment options for renal cell carcinoma are discussed later in this guide. Urothelial carcinoma. This is also called transitional cell carcinoma. It accounts for 10% to 15% of the kidney cancers diagnosed in adults. Urothelial carcinoma begins in the area of the kidney where urine collects before moving to the bladder, called the renal pelvis. This type of kidney cancer is treated like bladder cancer because both types of cancer start in the same cells. Sarcoma. Sarcoma of the kidney is rare. This type of cancer develops in the soft tissue of the kidney; the thin layer of connective tissue surrounding the kidney called the capsule; or surrounding fat. Sarcoma of the kidney is usually treated with surgery. However, sarcoma commonly comes back in the kidney area or spreads to other parts of the body. More surgery or chemotherapy may be recommended after the first surgery. Wilms tumor. Wilms tumor is most common in children and is treated differently from kidney cancer in adults. This type of tumor is more likely to be successfully treated with radiation therapy and chemotherapy than the other types of kidney cancer when combined with surgery. This has resulted in a different approach to treatment. Lymphoma. Lymphoma can enlarge both kidneys and is associated with enlarged lymph nodes, called lymphadenopathy, in other parts of the body, including the neck, chest, and abdominal cavity. In rare cases, kidney lymphoma can appear as a lone tumor mass in the kidney and may include enlarged regional lymph nodes. If lymphoma is a possibility, your doctor may perform a biopsy and recommend chemotherapy instead of surgery. Blood and urine tests. Tests of your blood and your urine may give your doctor clues about what’s causing your signs and symptoms. Removing a sample of kidney tissue (biopsy).In rare cases, your doctor may recommend a procedure to remove a small sample of cells (biopsy) from a suspicious area of your kidney. The sample is tested in a lab to look for signs of cancer. The type of surgery your doctor recommends will be based on your cancer and its stage, as well as your health. Surgery carries a risk of bleeding and infection. When the cancer is confined to the kidney, surgery is usually the only treatment needed — no drugs or radiation are necessary. These procedures may have advantages for certain patients and are a potential option for people who can’t have other surgical procedures and those with small kidney tumors. Drugs that use your immune system to fight cancer (biological therapy).Biological therapy (immunotherapy) uses your body’s immune system to fight cancer. Drugs in this category include interferon and aldesleukin (Proleukin), which are synthetic versions of chemicals made in your body. Nivolumab (Opdivo) is an immunotherapy sometimes used to treat advanced renal cell carcinoma. Be sure to thoroughly discuss with your doctor the benefits, risks and possible side effects of any treatment that you’re considering. 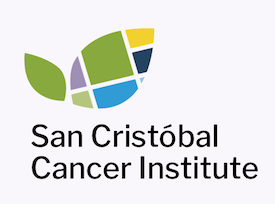 If you’d like to learn more about Kidney Cancer through our San Cristóbal Education Resources, attend our events or learn about our Cancer Center, please contact us.